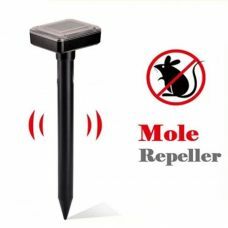 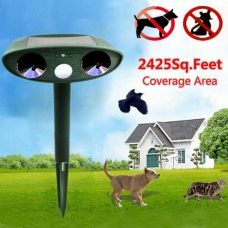 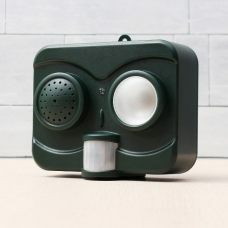 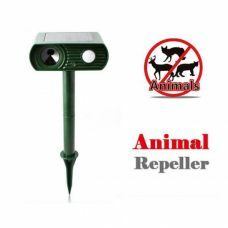 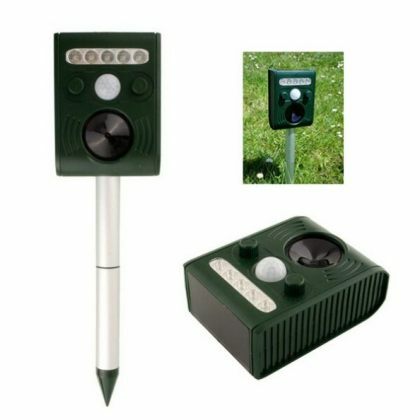 The Solar Power Repeller uses Ultrasonic Waves and LED flashing light to deter unwanted wild animals include foxes and deers, snakes, mice, rats, and other rodents, birds. 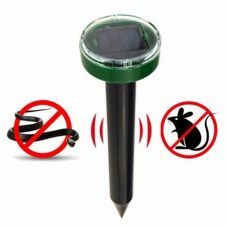 The Passive Infrared Sensor (PIR) detects motion and triggers the Ultrasonic Speaker emitting a tone that people cannot hear but chases away common outdoor wild animal and critters. 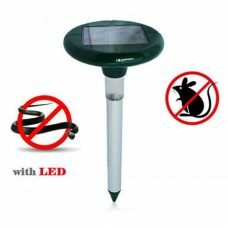 Ideal for: organizing protection of house, backyard, garden, farm or other remote areas that does not have electricity from unwanted wild animals include foxes and deers, snakes, mice, rats, moles and other rodents, birds. 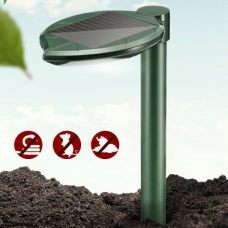 For whom: for practical people who looking for highly efficient way of organizing protection of private property from unwanted critters without Toxic Chemicals and Poisons, but with Environment-Friendly Green Source of Solar Power Energy. 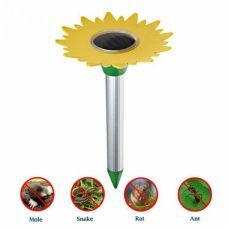 Mode 5 - All functions work at the same time. 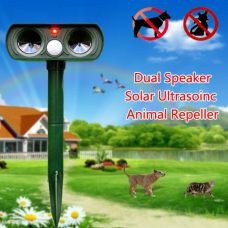 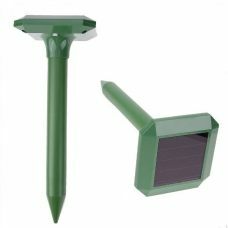 1 x Solar Power Ultrasonic Repeller. 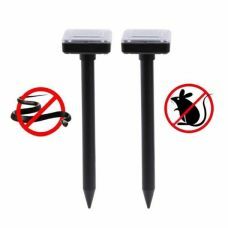 1 x Aluminum Mounting Stick.